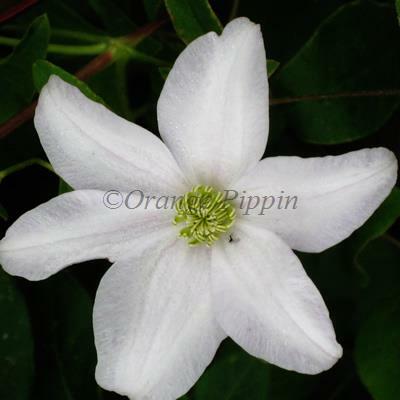 Clematis 'Huldine' is very attractive with its small, pearly-white flowers which are attractively veined mauve on the reverse, produced from July to September. This strong growing, non-evergreen climber can be grown against a trellis, fence or wall, but may be best trained through a tree, as it can reach heights of around 15ft. Clematis 'Huldine' was raised by Francisque Morel of Lyon, France and given to William Robinson of Gravetye Manor. It was exhibited by Robinson's head gardener, Ernest Markham.